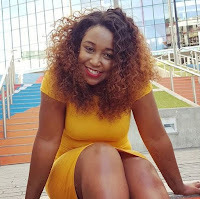 Wednesday, March 27, 2019 - Sometime back, K24’s anchor, Betty Kyallo, was one of the most disciplined and respected media girls in Kenya’s media industry. But scandals started following her after she dumped Dennis Okari and started warming the bed of Mombasa Governor Hassan Joho. Her name became common in gossip circles and this turned her from a respected media girl to some sort of socialite. 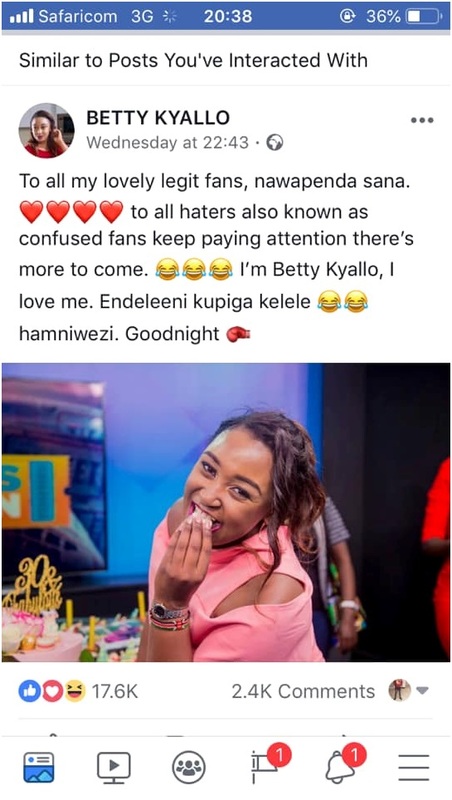 Kenyans no longer have respect for Betty Kyallo and they see her as an attention seeker. They flood her social media pages with nasty comments that force her to respond back with hard tackles at times. We came across this remark that she posted on her official facebook page and we are wondering whether she is depressed. Betty seems to be struggling with a lot of self esteem issues. Check out this post and tell us what you think.